Today’s three Sunday newspapers owned by our company offer a balanced view of Gov. 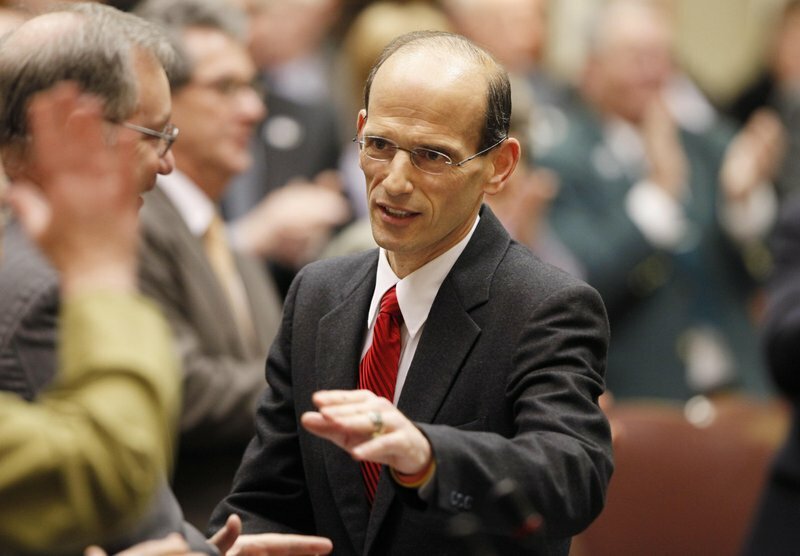 John Baldacci’s eight years as this state’s chief executive. In today’s editorial on Page E2 we point out that his last year in office was more than likely the most defining one because he had to make tough choices he knew would be unpopular with many people in the two dominant political parties. He presented a budget that had spending levels at the same point as when he took office eight years earlier. It was a remarkable and courageous act and one that earned him more enmity than praise. Baldacci, son of small business owners and one himself, knew what a business has to do to survive when revenue declines. You cut costs. Government is, after all, a business, and maintaining a semblance of financial health — difficult to do in the face of worldwide and national deficits — is vital. Our editorial covers spacious ground summing up the governor, his management style and his low-key demeanor. It misses a key point of his personality that allowed him to handle his critics who piled on in his last year. He is the most self-effacing, humble politician, particularly one who has held major government positions, I have ever known. Beyond that he is sustained by a sharp, insightful wit and expansive sense of humor. He took the job seriously but did not take himself seriously. He also has a sense of loyalty to his family, his friends, and our shared hometown of Bangor that is remarkable. Our conversations have been many over the past three years but rarely were they about policy. Our conversation topic might begin in seriousness but before long we were laughing in self-deprecating humor about ourselves, our upbringing, and the characters and friends our families shared in common. He knew both of my parents, Hugh and Alyce Connor, stalwart Democrats, and had gone to both of them from time to time for their views on state politics. 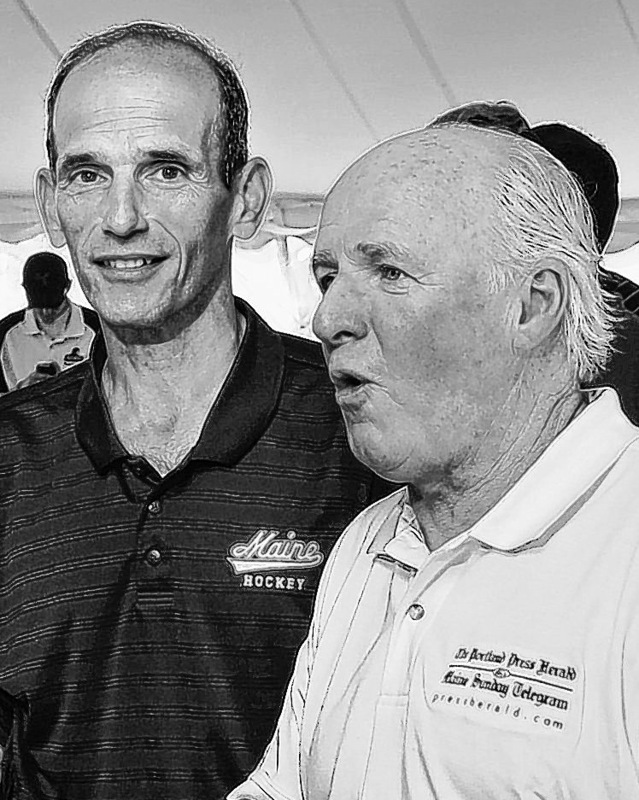 We’d talk about other Bangor pols such as Eddie Kelleher, Charlie Milan, and a Connecticut transplant who began coming to Maine in the summer for harness racing, Gardiner Patterson. And Thaxter Trafton, who played basketball at MCI with my brother Hugh. There are others. We knew Jock McKernan’s mother, Barbara, a force in the state GOP, and her son who would go on, like Baldacci, to the U.S. Congress and then become governor in another challenging economic period. We knew Sen. Bill Cohen; his dad, Ruby; and his mother, brother and sister. Even when we tried to be serious we couldn’t. Our lives, our challenges, and our Bangor friends were just too funny to allow us the folly of self-importance. Three years ago, when I began the work to purchase these newspapers, I phoned Gov. Baldacci to ask for advice. It was the first phone call I made before starting work on the deal. It was evening when I phoned and, even though Baldacci is known to arrive at the office early and leave late almost seven days a week, he was not there. I left a message and his press secretary, David Farmer, returned the call that night. He said he would tell the governor I had phoned. He promised to be supportive and we both promised each other we would not compromise our responsibilities because of personal ties that ran deep into our past and that of our families. He would be hopeful the papers would return to local ownership but would not provide any political favors to us. I, in turn, told him that if I was successful buying the newspapers he would not receive preferential treatment. Sometimes we might praise him. Other times we would most likely be critical. He said he knew a newspaper must remain independent even at the expense of friendship. Cheering from the sidelines was his most important contribution. Throughout the almost two years it took me to raise the money to buy these newspapers, he phoned often and, like a coach, would cheer me on and tell me not to give up. Maine newspapers need to be owned by Maine people, he would say. I told him I appreciated the support but it was money I needed. The phone would momentarily go silent. “Go get ’em, kid,” he’d say and be gone. I had not known him well before that time but my mother loved him. We’d eat at Mama Baldacci’s and he would fawn over her. Sometimes he simply dropped by her apartment to check in and say hello. One time, when I was back working at a newspaper in Texas, he took two of my children to the Bangor State Fair. They remember. He doesn’t. Why? He doesn’t because his acts of personal kindness are many and come naturally. One of our favorite stories will stay with us forever. On this last Election Day the phone in my office rang late that night. The governor’s race at that time of night, down to a horse race between independent Eliot Cutler and Republican Paul LePage, was too close to call, and it was way past bedtime.